Lessons from Jack Welch: Stretch! Until recently innovation has been seen principally as the means to turn research results into commercially successful products, but not all research leads to innovation and not all innovation is research-based. Certainly research is a major contributor to innovation, generating a flow of technical ideas and continually renewing the pool of technical skills. It should be a vital ingredient in your enterprise strategy, particularly over long term, if you are to maintain a stream of competitive products on the market. Important though research is as the source of invention, innovation encompasses more than the successful application of research results. 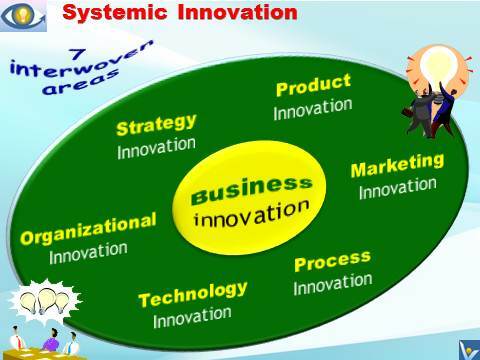 Innovation can also stem from adopting new technologies or processes from other fields, or from new ways of doing business, or from new ways of marketing products and services. The evolution of the innovation concept – from the linear model having R&D as the starting point to the systemic model in which innovation arises from complex interactions between individuals, organizations and their operating environments – demonstrates that your innovation policies and practices must extend their focus beyond the link with research. 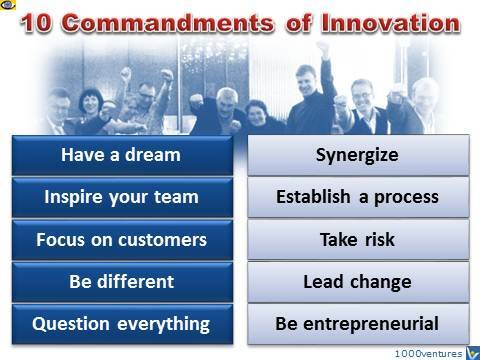 Hard Innovation is organized R&D characterized by strategic investment in innovation, be it high-risk-high-return radical innovation or low-risk-low-return incremental innovation. Soft Innovation is the clever, insightful, useful ideas that just anyone in the organization can think up. At General Electric (GE), the sum is greater than its parts as both business and people diversity is utilized synergistically in a most effective way. "Practice systems thinking and holistic approaches," advised Jack Welch. Seek to improve and optimize the totality of your business rather than the profits of its components. "Everything about this enterprise is doing more with less. It needs rejuvenation all the time. Quality is the next in the learning process. Getting rid of layer. Getting rid of fat. Involving everyone. All that was to get more ideas. The whole thing here is to create a learning organization." Buy today and start your innovation trainings tomorrow! Vadim Kotelnikov provides an exceptional service for professors, trainers and consultants. presents it in very colorful and information packed slides. In addition, the slides can be printed in note pages, which extensively elaborate on the slide points. A wealth of practical strategies and techniques in organizational effectiveness are presented in a visually appealing format.